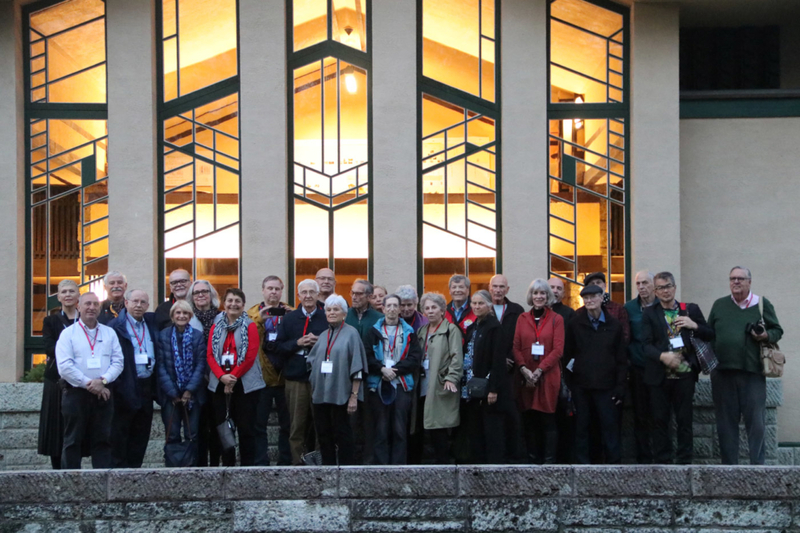 Twenty-five Conservancy members joined us in November for our first major tour of Japan, The Great Living Creative Spirit: Frank Lloyd Wright’s Legacy in Japan. More than 40 sites across the country were visited on the 10-day main tour, including Wright’s Yamamura House, reconstructed Imperial Hotel entrance lobby, and Jiyu Gakuen school for dinner, a concert and a presentation by world-renowned Japanese architect Kengo Kuma. Buildings by Wright apprentices Arata Endo and Antonin Raymond and the major figures of 20th-century Japanese architecture, as well as the “art islands” of Naoshima, were included on the unique tour specially curated by Tokyo-based Wright experts KiSMet Productions. A smaller group spent an additional three days on our tour of Kyoto. Thank you to all who attended! View photos from the trip on our Flickr page.